The Jessie Beck Elementary Science and Invention Fair is quickly approaching. 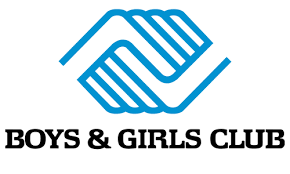 This year’s event will take place at the Boys and Girls Club of Truckee Meadows, William N. Pennington Facility, 1300 Foster Drive, Reno. Begin planning your projects now! 1. Projects will set up in the multi-purpose room at school WED, May 17th starting at 9:00AM. 2. New judging system. A small team of 4 judges will judge all projects in the multi-purpose room on Wednesday, May 17th starting at 9:00AM. All projects must be turned in by that time. 3. Please clip Entry form, and any LSRC/consent forms to the back of the display board (or include inside the front cover of notebook). Notebook can sit on the table in front of the board. 4. Photos are encouraged and acceptable. 5. If you must have display items included with your project, you will need to set it up, take it down, and transport and then set up at the Boys and Girls Club yourself. We ask that all items are secured to the display board if you cannot be there to set up and transport it yourself. Thank you! 6. Awards Ceremony will be held in the stage room at the Event at 7:00PM. 7. PLEASE TAKE YOUR PROJECT HOME WHEN YOU LEAVE!!! EVENT DETAILS - entry tickets are free and available at the door! 1. FOOD! Spaghetti with salad, cookie and milk will be available for purchase. $5.00. See Lanny for tickets, or purchase at the event (while quantities last). 2. Sierra Nevada Journeys - NEW Roller Coaster Challenge!! Can you make the roller coaster go over the free-fall? 3. SNJ - Family Science program with 22 fun stations! 4. Slide Show - look for the screen with photos of JB student scientists having fun and doing their experiments. 4. Awards Ceremony will take place in the Stage room (next to the gym) at 7:00PM. Please come and cheer on the winners! 5. Volunteers needed – If you want to get involved with a great event at Jessie Beck, we have many different ways you can help out. We will need help setting up, helping SNJ with different science activities during the evening, serving food, cleaning up, etc. Please sign up on our SignUp Genius page at: http://www.signupgenius.com/go/5080e4ea5ae2da7fc1-science or submit form to the right. - Take Roller Coaster Challenge!